Day 11 of 10 days of free planner printables is here! Today is a bonus day! In case you’ve missed any of the previous printables, the links are included at the end of this post. Today, I am giving you a free printable monthly bill payment tracker to help you organize your bills. 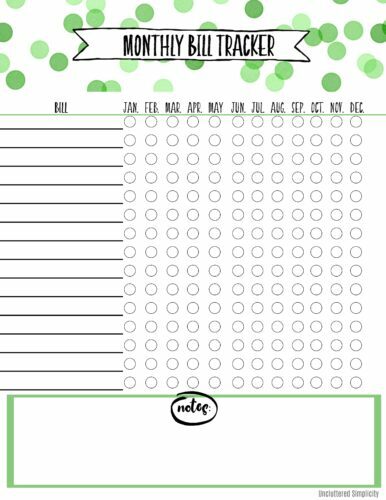 As always, these free printables are available in full or half-size to suit most planners. *Be sure to check back for more free printables in this series! I created this free printable monthly bill payment tracker because my old “system” of keeping track of paid/unpaid bills simply wasn’t cutting it. Basically, I’d just write directly on the paper bill the date I paid it. Which is fine, except for the fact that not all of my bills arrive in paper form. In fact, the majority of them are digital. So I found myself frequently scratching my head wondering whether or not I’d actually paid a particular bill. Then, I’d have to search through my credit card statement or bank account statement for the bill in question. Until I finally found it. Or not. Too often, I assumed I had paid a bill only to receive a double bill (plus a late fee) the following month. 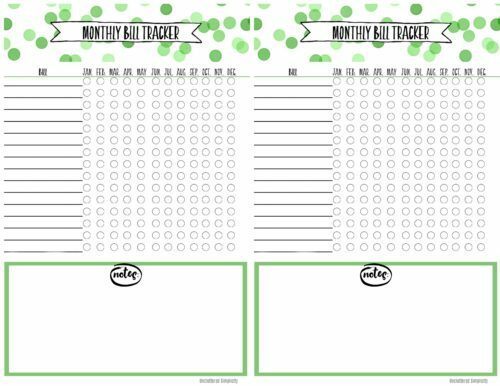 Enter my free printable monthly bill payment tracker. Problem solved! Download the full-size printable bill payment tracker below!